Valentine’s Day is just around the corner. Will you be celebrating with your special someone this year? Whether you’re in a relationship or not, this isn’t everyone’s favorite holiday. 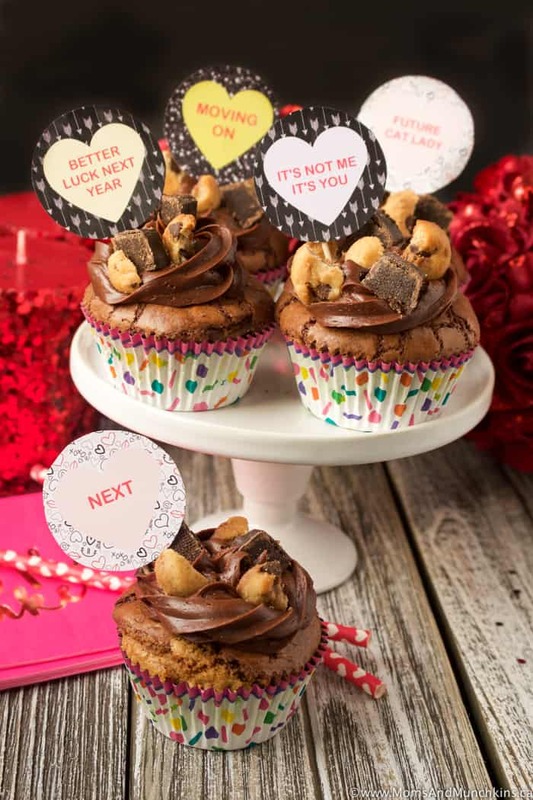 So what do you do when you love chocolate but hate the mushy sweet side of Valentine’s Day? 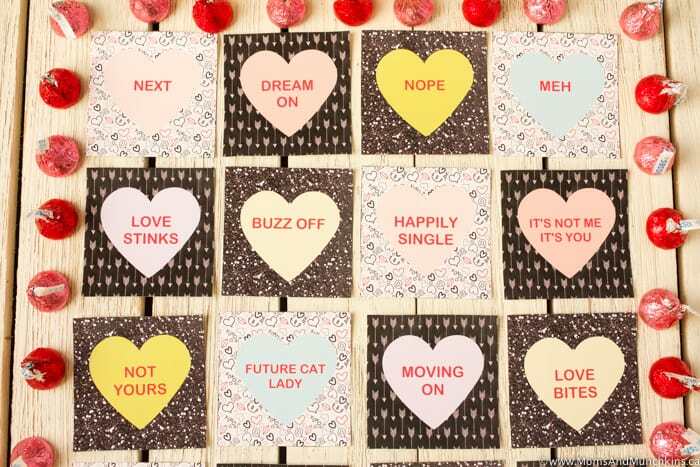 Share Anti-Valentine’s Day cards with your besties, of course! We have some funny, light-hearted freebies to help you celebrate. This weekend marks the date that I’m officially divorced! It took 2.5 years to finalize a rather simple divorce so that’s worth celebrating with some chocolate, right? Ha! 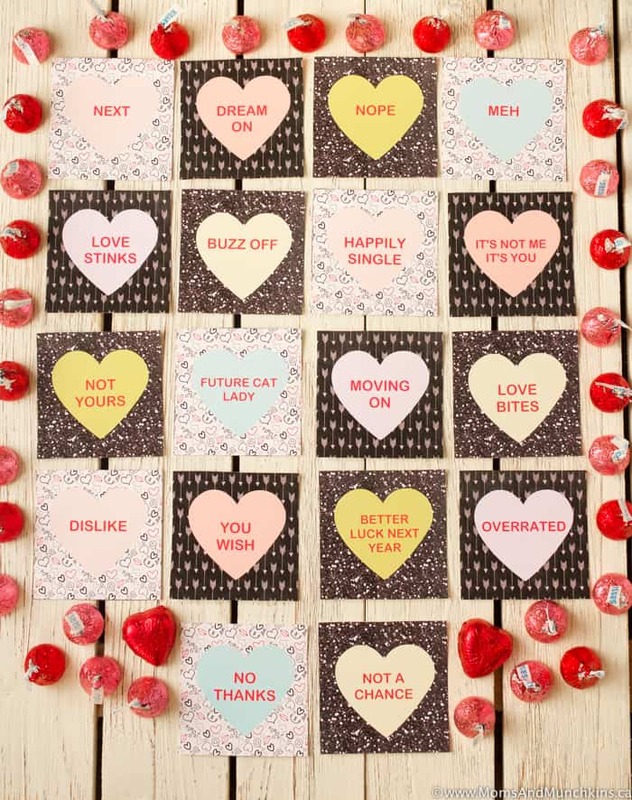 No hard feelings – some things just aren’t meant to be – but these Anti-Valentine’s Day cards are just too cute not to share. No, I won’t be sending one to my ex. The free printable includes both squares (for handing out like Valentines) and circles perfect for cupcake picks. 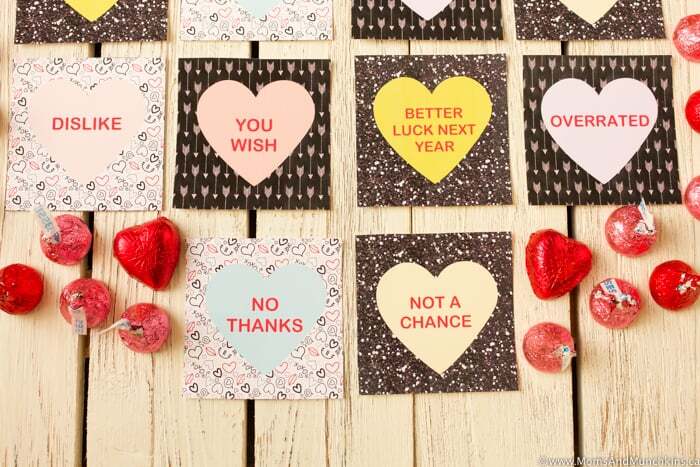 Print your freebies here: square Anti-Valentine’s Day Cards and circle Anti-Valentine’s Day cards. Remember – you don’t need a sweetheart this Valentine’s Day to go overboard with chocolate! 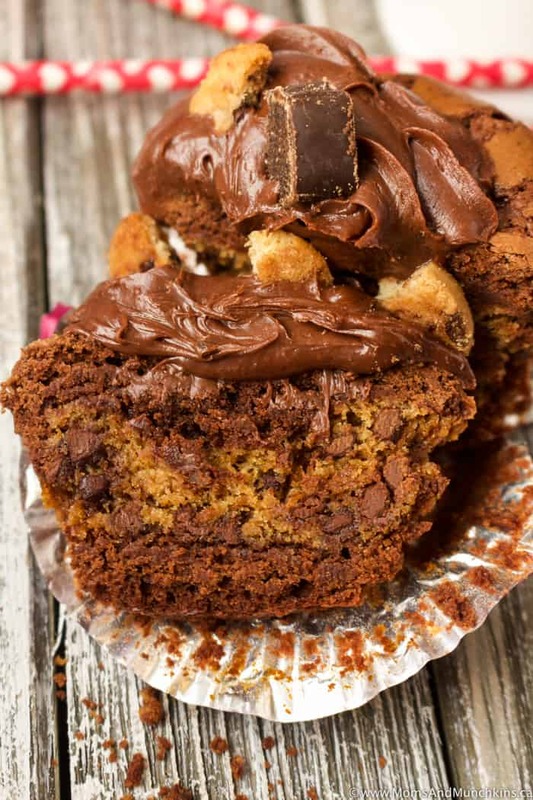 These Brookie Cupcakes are a delicious combination of brownies and cookies plus I promise you they’re easy to make too. Don’t want a full 18 cupcakes for your Anti-Valentine’s Day celebration? We have a solution for that too! 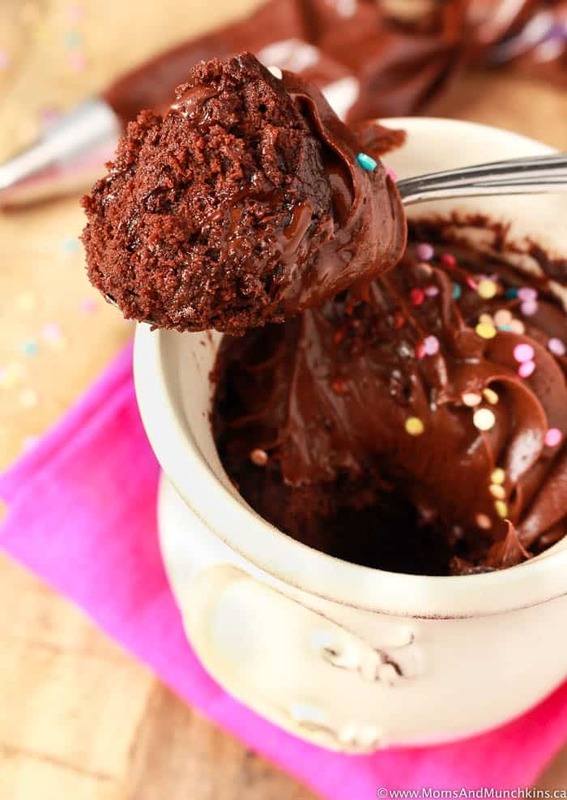 Check out this Double Chocolate Mug Cake ready in less than 5 minutes. No sharing required! 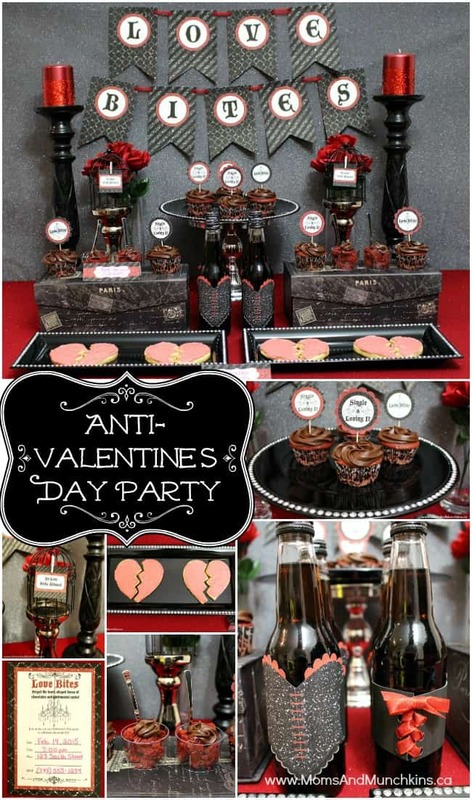 Planning an Anti-Valentine’s Day Party? Yes, we have ideas for that too plus more printables! For more Valentine’s Day ideas, visit our Valentine’s Day page. Stay updated on the latest home entertaining ideas by following us on Facebook, Twitter, Instagram and Pinterest.